L’Oreal is the world’s largest cosmetic and beauty company, present in 130 countries, spanning 5 continents. The brand is endorsed by leading celebrities in every part of the world. It has some of the most amazing and high quality products. L’Oreal brings us some of the best eye liners and a makeup lover should definitely try at least one of these awesome products. Here I have listed the top ten L’Oreal bestselling eye liners which will help you to choose better. 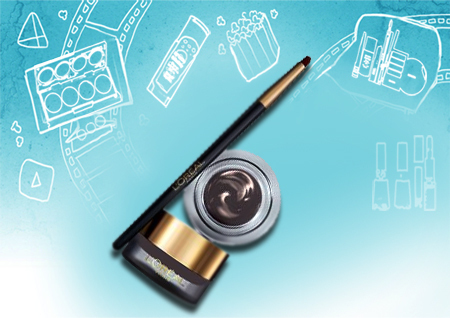 Loreal gel eyeliner is one of the best gel liners available in India. It comes in 2 colors – black and brown. The liner can be applied very smoothly and easily. 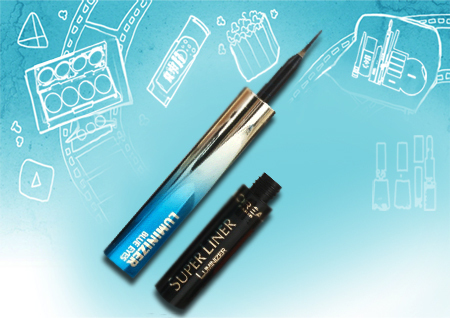 It comes with a liner brush that helps to draw thick and thin lines with great ease. The shade, black, is highly pigmented and gives a jet black color with a semi-matte finish. The staying power is simply amazing. It stays put for a long time without smudging or fading. The liner is sweat proof, smudge proof and can be easily removed with a makeup remover. This is the brown shade of the gel liner. The shade is a perfect brown with a slight sheen which makes it perfect for day wear or work wear. It stays for more than 8 hours and is completely waterproof. 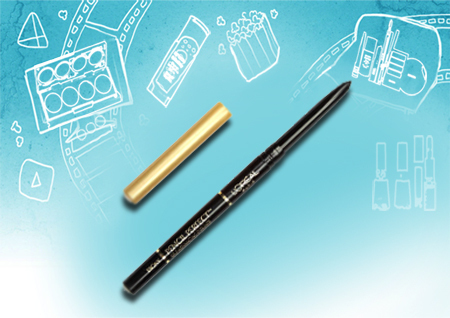 L’Oreal impact felt liner is a liquid liner that comes in a marker pen style. 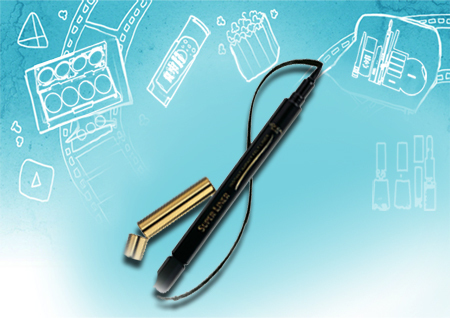 The felt tip provides ease and precision to create different looks, be it winged liner or cat eyes. It dries instantly after application. The shade is jet black and gives a glossy finish to the eyes. The only con with this product is that it is not waterproof and dissolves when it comes in contact with even a few drops of water. 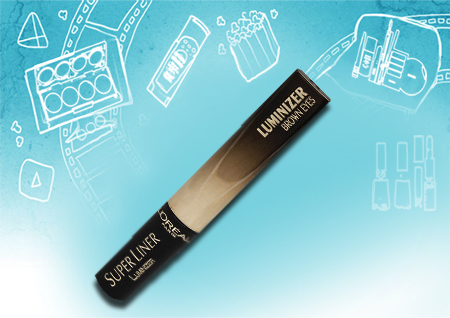 L’Oreal Super Liner Luminizer comes in 3 stunning shades with light-reflecting particles, each formulated for different colored eyes. Black amethyst is a beautiful dark plum shade which is meant for hazel-eyed beauties. The gorgeous shade with a sheen finish illuminates and enhances the eye color in a beautiful way. 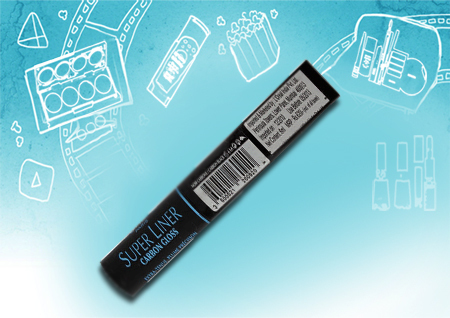 The liner applies smoothly without running. The staying power is also good and stays 6+ hours without fading or bleeding. The formula of Black Diamond is similar to other shades in this range. It is meant for brown eyes and comes in a glossy black shade. It is a soft black with fine blue and gold shimmer. It takes 2 swipes to get an intense dark and rich color. The black glossy shade of this liner perfectly complements dark brown eyes. It stays for 5 hours easily without fading. The shade Dark Sapphire is a gorgeous midnight blue with a jewel tone sheen, which looks beautiful on blue eyes. This shade does not contain any glitter or shimmer, making it perfect for daily wear. The pigmentation of this shade is amazing and dries in few seconds. This one is certainly a must buy from this range. L’Oreal Super liner is the best pick if you are looking for the perfect choice among the loreal liquid eyeliners. The applicator comes with a sponge tipped pen which gives a perfect grip for creating fine or thick lines and a sultry flick. It dries within seconds. The shade is jet black with a complete finish. The liner is sebum proof and stays for more than 4 hours. It is ophthalmological-tested and is completely safe for sensitive eyes and lens wearers. Carbon Gloss is the glossy version of super liner. 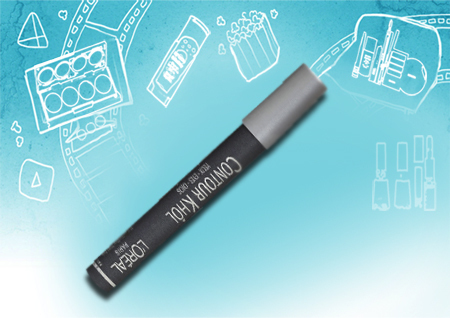 If you’re not too much fond of matte liners, you can safely opt for this one. The liner has the right amount of gloss. It is not overtly shiny, but gives a sophisticated glamour to the eyes. 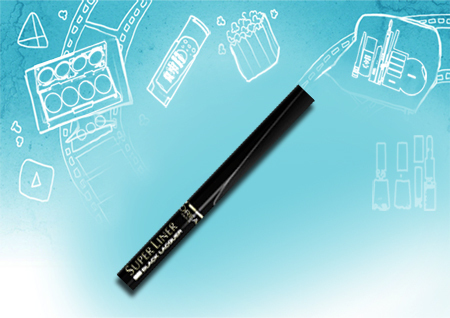 It is a super intense black liner with a flattened applicator which gives a good grip. 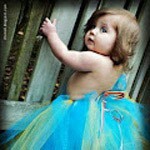 Moreover, it does not sting or irritate the eyes. L’Oreal contour kohl pencil liner is available in 10 shades which include black, brown, and other colors. It contains oil and wax which give it a soft texture. The liner glides smoothly on the lids without tugging or pulling. The staying power is amazing. It stays for more than 6 hours with little smudging. 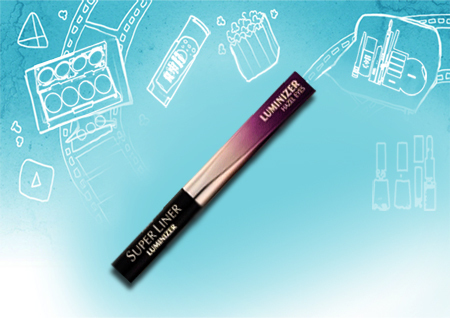 The liner has no glitter or sheen and gives a complete matte finish. It is extremely pigmented and provides rich color in just one stroke. You can also rub it slightly on the eyelids to create a smoky look. 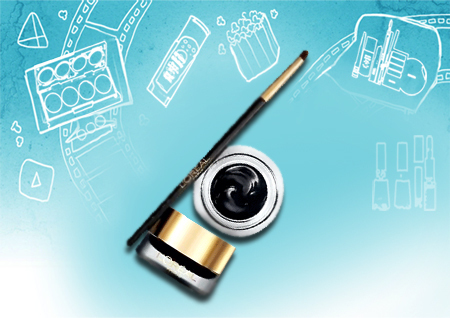 The L’Oreal Pencil perfect eye liner is a pretty black retractable eye liner which can be used on both the waterline and the lash line. 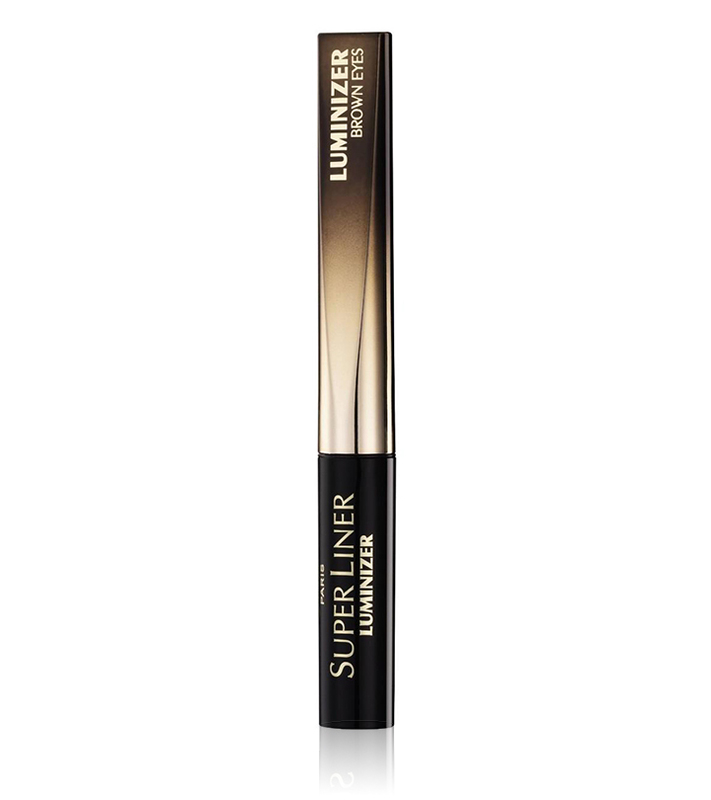 The liner has a rich pigmentation and gives jet black color in just one swipe. The texture is creamy and smooth and glides without any tugging or pulling. On the lash line it stays for 6+ hours without fading or smudging, but smudges a bit when applied on the water line. This one is perfect for daily wear. Do you own any of these liners from L’Oreal or do you plan to get one of these soon?